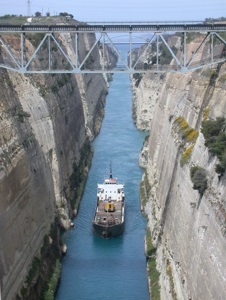 Welcome to Travel Guide 2 Greece, the site about travel, tourism and vacations in Greece. 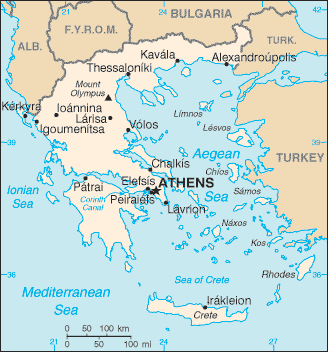 The Hellenic Republic (Greek: Ηλληνικη Δημοκρατια), normally known as simply Greece (Greek: Ηλλαδα or Ηλλας) is a country in southern Europe. The mainland which is located at the south of the Balkan Peninsula, borders Albania, Bulgaria, the Former Yugoslav Republic of Macedonia and Turkey, and has coasts of the Mediterranean (Aegean Sea to the East and South, and Ionian Sea to the West). Greece also contains very many islands, both in the Aegean and Ionian Seas. 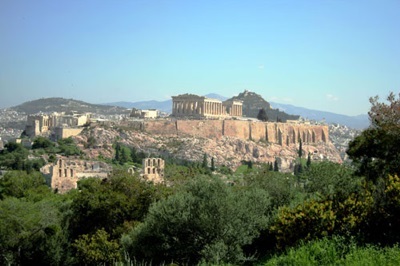 As of 2007, Greece has an estimated population of 11,170,957, of whom approximately 3.8 million live in the metropolitan area of the capital, Athens. 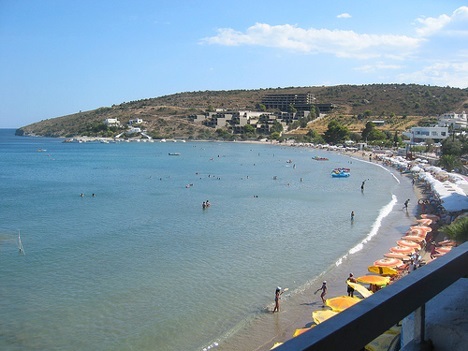 Additionally, there are seven other cities in Greece with populations of over 100,000 - Iraklion (Heraklion), Kallithea, Larissa, Patras, Peristeri, Piraeus and Thessaloniki (Salonica) - as well as numerous smaller cities. Greece has a modern capitalist economy with a high standard of living the foundation for which was laid during the period from 1950 to 1973, known as the "Greek economic miracle", when the country's economy grew at an average of 7% per year. Important industries in Greece include banking and finance, construction, manufacturing, telecommunications, tourism and most especially shipping. The Greek-owned maritime fleet is the largest in the world, containing over 3,000 vessels, and accounting for almost 20% of the world's fleet capacity. Since 1981, Greece has been a member of the European Union and has benefited greatly from European Union funds (including investments in infrastructure), and trade with other European Union members. Since 2001, Greece has also been a member of the eurozone.